The end of daylight savings means it's time to begin planning that warm winter getaway! 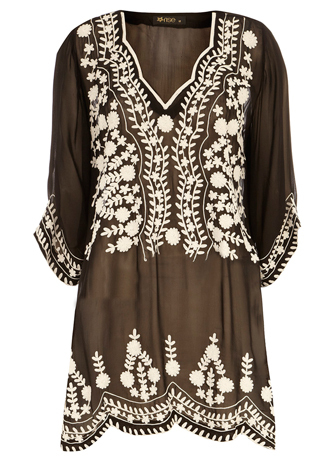 I'd like to get the ball rolling with this gorgeous embroidered kaftan. This caftan is gorgeous - I can't believe it's only $59! Blowing you kisses through the internet, thanks! Stunning -- how would it look with leggings?